Our Founders, Walter R. & Billie S. Vaughn started their first funeral establishment in 1938. In the early days, they served the Weston community in the funeral business, & by running the local ambulance service. Together, they created a reputation for dignified & dependable service that has been passed down through the generations of the Vaughn Family. Walter & Billie took an active part in the area, serving in many community organizations. Walter served in the '50s as President of the Missouri Funeral Director's Association, was president of the Weston School District, & served in many other facets of community service over the years. The couple never retired from the funeral business, & continued to serve throughout their lives. Together, along with their son, L.R., they had funeral homes in several locations in Weston, Lexington, Platte City, & Dearborn, MO. They built the present location in Weston, beginning in 1989. Walter, along with his former partner, Clarence Aufranc founded their first funeral home in the city of Dearborn in 1948. Together, they built the current location in 1950. Later, in 1993, L.R. & his wife, Sue purchased the remaining interest from Clarence, which continues to be run by the Vaughn Family. Later, the current Dearborn facility was renovated, around 2005. 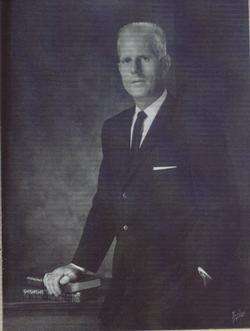 In 1977, the Vaughn Family purchased the Rollins Funeral Home from "Tommy" Rollins. Located in a beautiful colonial stlye home, the Rollins Funeral Home has since been operated as part of the Vaughn Family Funeral Homes. The Vaughn's built a newly expanded addition to the funeral home in 1993, to better serve the growing Platte City community. Today, along with their son, Scott, the Vaughns continue to serve the Weston, Platte City, & Dearborn Communities with their Caring & Dependable Service.